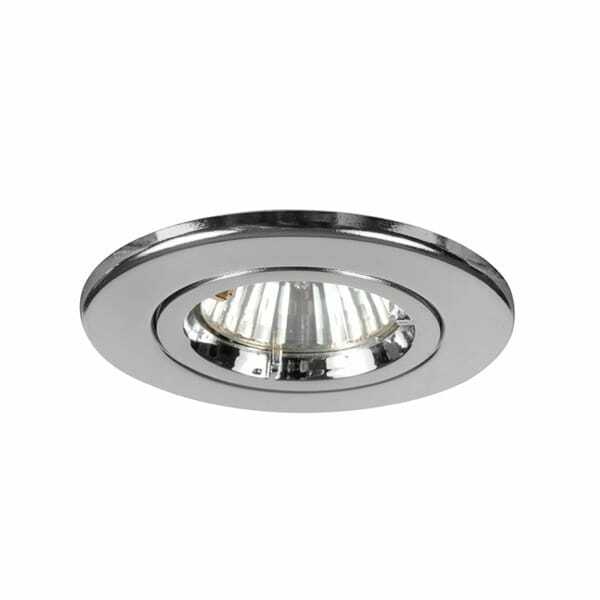 A standard ceiling recessed spotlight in a chrome finish, it takes a max 50 watt GU10, is mains voltage and with its twist and lock mechanism it makes it easy to change the bulb. These downlights are fire rated for up to 90 minutes. They are also suitable for use on a dimmer switch. These would be ideal for modern settings and those with low ceilings.